As the sun was rising, we were getting ready to pull out of the driveway at home. After being off for a week we are going back to work for a few days before we call it a year. Your beautiful picture really says something about not going to bed early and/or getting up early! Have a safe trip. Love this picture. What a beautiful place to come back to, when the rest of the country is turning to winter. I love sunrises and sunsets. Cannot see them very well from this neighborhood, with the trees. Just glimmers. GIL: Ed and I usually go to bed late and get up late when we're home, but because we had to head out early to pick up our load, we were able to catch the sun rise! BELLEDOG: Glad you like the picture. 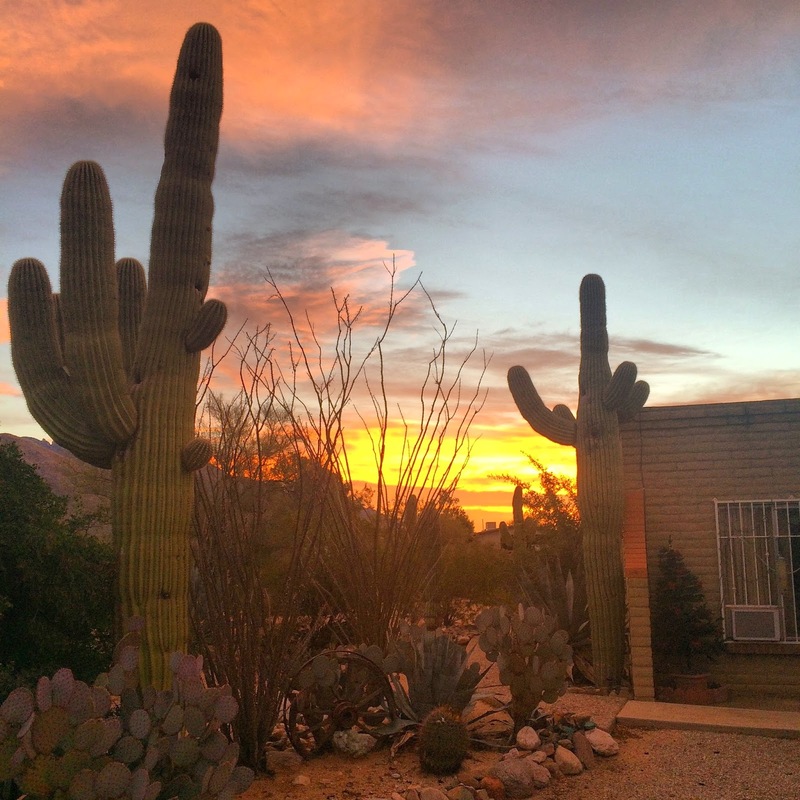 Yeah, the sunrises and sunsets in Tucson are pretty spectacular. I'm a fan of sunrise, though. Glad I was able to catch this one!